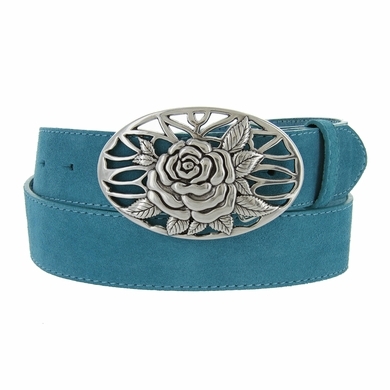 Genuine leather suede belt with nickel-plated zinc buckle, featuring snaps for use with interchangeable buckles. 1 1/2" wide. Measured from where the leather folds over the buckle to the middle adjustment hole.